Hans Brusse, the son of the publisher, W. L. Brusse, was born in Rotterdam in 1913. He developed left-wing political views and married Nora Jongert, the daughter of Jacob Jongert, a very successful comercial artist. Paul Wohl knew the couple very well and described them as both being "fanatical communists". 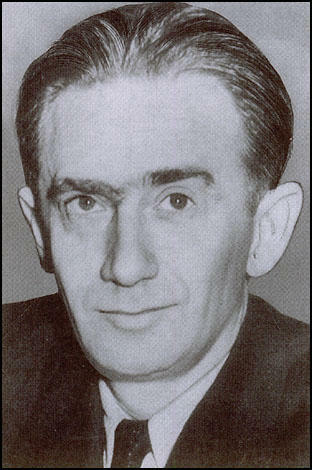 In July 1933 Walter Krivitsky was transferred to Rotterdam as director of intelligence with liaison responsibilities for other European countries. According to Krivitsky he was now "Chief of the Soviet Military Intelligence for Western Europe". This time he was able to travel and live with his wife, Antonina Porfirieva. By this stage the NKVD had realised that marriage makes a good cover for illicit activities. The couple moved to a townhouse at 32 Celebesstraat, The Hague. Krivitsky took the identity of Dr. Martin Lessner, who sold art books. Krivitsky recruited Hans Brusse as part of his network. Officially he worked for Krivitsky as "chauffeur and aide, doing everything from carrying boxes and fixing appliances to taking photographs and driving a motorboat... covertly Brusse handled special assignments, especially those requiring criminal skills." Wohl claimed that he was also an "expert locksmith". It was claimed that while Brusse was on a mission in Nazi Germany, Krivitsky saved his life. Krivitsky's old friend, Ignaz Reiss, was beginning to have great doubts about the truth of the Show Trials. His wife, Elsa Poretsky, had visited Moscow in early 1937. She noted that: "The Soviet citizen does not rejoice in the splendor, he does not marvel at the blood trials, he hunches down deeper, hoping only perhaps to escape ruin. Before every Party member the dread of the purge. Over every Party member and non-Party member the lash of Stalin. Lack of initiative it's called, then lack of vigilance - counter-revolution, sabotage, Trotskyism. Terrified to death, the Soviet man hastens to sign resolutions. He swallows everything, says yea to everything. He has become a clod. He knows no sympathy, no solidarity. He knows only fear." Ignaz Reiss met with Krivitsky and suggested that they should both defect in protest as a united demonstration against the purge of leading Bolsheviks. Krivitsky rejected the idea. He suggested that the Spanish Civil War would probably revive the old revolutionary spirit, empower the Comintern and ultimately drive Stalin from power. Krivitsky also made the point that that there was no one to whom they could turn. Going over to Western intelligence services would betray their ideals, while approaching Leon Trotsky and his group would only confirm Soviet propaganda, and besides, the Trotskists would probably not trust them. Krivitsky was recalled to Moscow. He later commented that he took the opportunity to "find out at firsthand what was going on in the Soviet Union". Krivitsky wrote that Joseph Stalin had lost the support of most of the Soviet Union: "Not only the immense mass of the peasants, but the majority of the army, including its best generals, a majority of the commissars, 90 percent of the directors of factories, 90 percent of the Party machine, were in more or less extreme degree opposed to Stalin's dictatorship." Walter Krivitsky met up with Ignaz Reiss in Rotterdam on 29th May, 1937. 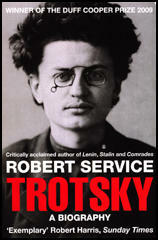 He told Reiss that Moscow was a "madhouse" and that Nikolai Yezhov was "insane". Krivitsky agreed with Reiss that the Soviet Union had "devolved into a Fascist state" but refused to defect. Krivitsky later explained: "The Soviet Union is still the sole hope of the workers of the world. Stalin may be wrong. Stalins will come and go, but the Soviet Union will remain. It is our duty to stick to our post." Reiss disagreed with Krivitsky and said if that was his view he would go it alone. Elsa Poretsky also began to doubt the loyalty of Krivitsky. She began to wonder why he had been allowed to leave Moscow. She told her husband: "No one leaves the Soviet Union unless the NKVD can use him." In July 1937 Ignaz Reiss was warned that if he did not go back to the Soviet Union at once he would be "treated as a traitor and punished accordingly". Reiss responded by sending a letter to the Soviet Embassy in Paris explaining his decision to break with the Soviet Union because he no longer supported the views of Stalin's counter-revolution and wanted to return to the freedom and teachings of Lenin. "Up to this moment I marched alongside you. Now I will not take another step. Our paths diverge! He who now keeps quiet becomes Stalin's accomplice, betrays the working class, betrays socialism. I have been fighting for socialism since my twentieth year. Now on the threshold of my fortieth I do not want to live off the favours of a Yezhov. I have sixteen years of illegal work behind me. That is not little, but I have enough strength left to begin everything all over again to save socialism. ... No, I cannot stand it any longer. I take my freedom of action. I return to Lenin, to his doctrine, to his acts." These letters were addressed to Joseph Stalin and Abram Slutsky. Mikhail Shpiegelglass told Krivitsky that Ignaz Reiss had gone over to the Trotskyists and described him meeting Henricus Sneevliet in Amsterdam. Krivitsky assumed from this information that Stalin had a spy within Sneevliet's group. Krivitsky correctly guessed that this was Mark Zborowski. 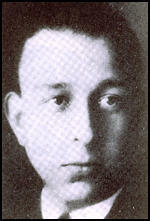 Krivitsky and another NKVD agent, Theodore Maly, tried to contact Reiss. Recently released NKVD files show that Shpiegelglass ordered Maly to take an iron and beat Reiss to death in his hotel room. Maly refused to carry out this order and criticised Shpiegelglass in his report to Moscow. According to Edward P. Gazur, the author of Alexander Orlov: The FBI's KGB General (2001): "On learning that Reiss had disobeyed the order to return and intended to defect, an enraged Stalin ordered that an example be made of his case so as to warn other KGB officers against taking steps in the same direction. Stalin reasoned that any betrayal by KGB officers would not only expose the entire operation, but would succeed in placing the most dangerous secrets of the KGB's spy networks in the hands of the enemy's intelligence services. Stalin ordered Yezhov to dispatch a Mobile Group to find and assassinate Reiss and his family in a manner that would be sure to send an unmistakable message to any KGB officer considering Reiss's route." Reiss was found hiding in a village near Lausanne, Switzerland. It was claimed by Alexander Orlov that a trusted Reiss family friend, Gertrude Schildback, went for supper outside of town. They left the restaurant and set off on foot. A car pulled up bearing two NKVD agents, Francois Rossi and Etienne Martignat. One was driving, the other - holding a machine-gun. Reiss was shot seven times in the head and five times in the body. The assassins fled, not bothering to check out of the hotel in Lausanne. They abandoned the car in Berne. The police found a box of chocolates, laced with strychnine, in the hotel room. It is believed these were intended for Elsa and her son Roman. Abram Slutsky now grew very suspicious of Krivitsky and insisted that he turned over his spy-ring to Mikhail Shpiegelglass. This included his second in command, Hans Brusse. Soon afterwards, Brusse made contact with Krivitsky and told him that Shpiegelglass had ordered him to kill Elsa Poretsky and her son. Krivitsky advised him to accept the mission, but to sabotage the operation. Krivitsky also suggested that Brusse should gradually withdraw from working for the NKVD. According to Krivitsky's account in I Was Stalin's Agent (1939), Brusse agreed to this strategy. Wohl agreed to help Walter Krivitsky defect. To help him disappear he rented a villa for him in Hyères, a small town in France on the Mediterranean Sea. On 6th October, 1937, Wohl arranged for a car to collect Krivitsky, Antonina Porfirieva and their son and to take them to Dijon. From there they took a train to their new hideout on the Côte d'Azur. As soon as he discovered that Krivitsky had fled, Mikhail Shpiegelglass told Nikolai Yezhov what had happened. After he received the report, Yezhov sent back the command to assassinate Krivitsky and his family. On 7th November, 1937, Krivitsky returned to Paris where Paul Wohl arranged for him to meet Lev Sedov, the son of Leon Trotsky, and the leader of the Left Opposition in France an editor of the Bulletin of the Opposition. Sedov put him in touch with Fedor Dan, who had a good relationship with Leon Blum, the leader of the French Socialist Party and a member of the Popular Front government. Although it took several weeks, Krivitsky received French papers and if needed, a police guard. Walter Krivitsky and Paul Wohl decided to try to move to the United States. Wohl who spoke English, would go ahead first, get settled and make arrangements for Krivitsky to follow. Wohl managed to become a foreign correspondent for a Czech newspaper. He obtained a U.S. visitor's visa valid for sixty days and traveled as a German refugee. On 5th November 1938, Krivitsky, Antonina Porfirieva and their son, boarded the French liner Normandie, and set off for America. However, when they arrived at New York they were refused permission to enter the country. For the next few days they were kept on Ellis Island. With the help of David Shub, he was eventually allowed to stay at the apartment that Wohl had found for him at 600 West 140th Street. The two men immediately got to work writing articles on the Soviet Union. Shub also put the men in touch with journalist, Isaac Don Levine, who had good contacts with the American media. Levine realised that this "slight, short and unimposing, though noteworthy for the striking contrast between his deep blue eyes, keen with intelligence" was a source of extraordinary material. He told Krivitsky that he could get him a lucrative deal for a series of articles. The first of these articles appeared in the Saturday Evening Post in April 1939. J. Edgar Hoover was very angry when he read the article. He was extremely annoyed that the American public had discovered in the article that Joseph Stalin was "sending NKVD agents into the United States as if the the FBI did not exist". On 7th January, 1941, Paul Wohl contacted Suzanne La Follette and told her to inform Walter Krivitsky that he had seen Hans Brusse in New York City. He added the comment: "I want him (Krivitsky) to remain alive to envy the fate of Medusa for having been allowed to die at the sight of her own image." Wohl later told the FBI that he had seen the tall Dutchman was wearing a European overcoat, grayish-green with raglan sleeves, and carrying a dark brown leather briefcase. When he heard the news, Krivitsky became convinced that Brusse was in the country to organize his assassination. Krivitsky told his lawyer, Louis Waldman: "Mr. Waldman, it is now finished. I am a dead man. Hans never misses." On Thursday 6th February, 1941, Krivitsky visited Eitel Wolf Dobert on his 90-acre farm in Barboursville, about 15 miles north of Charlottesville. The Doberts moved into a two-room log cabin and decided to raise chickens. Margarita later recalled: "My God, it was hard! We nearly starved. When we made $50 a month it was a great month." Krivitsky told Dobert he planned to buy a farm in Virginia. Soon after arriving Krivitsky purchased a .38 caliber Colt automatic pistol and cartridges at the Charlottesville Hardware store. On his return to the farm he and Dobert began target practice. By 8th February he had run out of ammunition. Margarita Dobert later commented: "On Saturday he asked me to drive to town and buy 150 cartridges for the gun." On Sunday 9th February, Walter Krivitsky checked into the Bellevue Hotel in Washington at 5:49 p.m. He paid $2.50 in advance for the room and signed his name in the register as Walter Poref. The desk clerk, Joseph Donnelly, described him afterwards as nervous and trembling. At 6:30, he called down for a bottle of Vichy sparkling water. The bellboy considered him a typical foreigner - "quiet and solemn". Jan Valtin, a former NKVD agent also took the view that Krivitsky was murdered. He said the NKVD liquidated people on foreign soil for three main reasons: "(1) To silence someone with secrets who might talk, has talked or will go on talking. (2) To eliminate someone who could be an asset to foreign intelligence services. (3) To wreak vengeance on someone who tried to break away from the Soviet Secret Service and thus to demonstrate an ability to prosecute defectors anywhere in the world, with the consequent chilling effect on potential defectors still in the service." Another former agent, Hede Gumperz, also explained how they would have arranged his death. "The only possible lever they could have tried to use against him was his family - threatening to kill his wife and son, and promising to spare their lives only if he took his. But Krivitsky would have known with absolute certainty that, even if the threats were serious, the promises were not. After all, he himself, as a senior officer in the same service, had seen so many promises of clemency which had been made in the name of Stalin cynically broken the moment their aim was achieved." Krivitsky's wife, Antonina Porfirieva, believed it was a forced suicide. The main clue came from his letter: "Very difficult and very much want to live but I can't live any longer. I love you my only ones. It's difficult for me to write but think about me and you will understand that I have to go." Antonina, who had worked for the NKVD and knew about the methods they used: "I am convinced that my husband was forced to write the notes he left behind... Walter had utter contempt for suicide and would have never killed himself willingly. They forced him to write those notes and then they forced him to kill himself. He made a deal with them to save me and our boy." Louis Waldman campaigned for the FBI to treat the case as murder. "The issue is much deeper than the discovery of whether the general's death was the result of murder or suicide... When one considers that General Krivitsky was a witness, giving valuable information as to foreign espionage in our own country to a legislative committee, to the State Department, and to the FBI itself, then in my opinion, there is the clear duty of the FBI to track down those malevolent forces which were responsible for his death." Waldman told the FBI that he had evidence that Hans Brusse was the killer. When the FBI reopen the case he went to the press with his evidence. Recently released documents show that in March 1941 a certain Lee Y. Chertok, a Russian living in the United States, claimed to have information on the killers of Krivitsky. J. Edgar Hoover sent a memo telling the FBI not to follow up this evidence: "The Bureau is not interested in determining whether Krivitsky was murdered or whether he committed suicide." Brusse went missing after the death of Walter Krivitsky. In 1948 Hans sent his mother a picture postcard without a post mark - it must have been carried by hand - stating that he was living in a "far-off land". He seems to be unaware that his mother had died in 1941. Jan Jongert says he saw Brusse in Rotterdam in 1956. Another source told MI6 that Brusse was living in an East European country in the late 1950s. It was assumed that he was still working for the Soviet intelligence service. Hans Brusse is the man. The most vicious murderer in all the Soviet. We know him. We know his methods. His favourite tactic is to drive a man to suicide by threatening to capture and torture his family. It has been done many times in many countries. I believe Krivitsky got a concrete warning recently that they would kill him or kidnap his family. That is their favourite plan of operation. 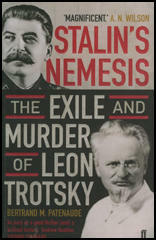 Krivitsky had a burning mission to expose Stalin for what he is. And in my opinion he was not the type to commit suicide."